Jordon Comstock of Boomcloud joins Jason and Alan to talk about office membership plans for patients! Have you ever considered offering a membership plan? Many patients feel like they can’t come to the dentist without some kind of plan. Many dental offices are enrolling patients in these plans, but how do you administer one of these without adding to your front office’s headaches? 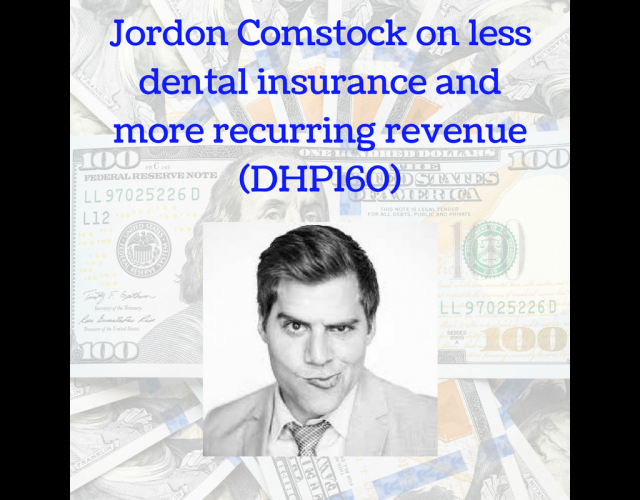 Jordon Comstock, serial entrepreneur, one time dental lab manager and founder of Boomcloud explains why he started his company and why dentists should be taking advantage of membership plans!